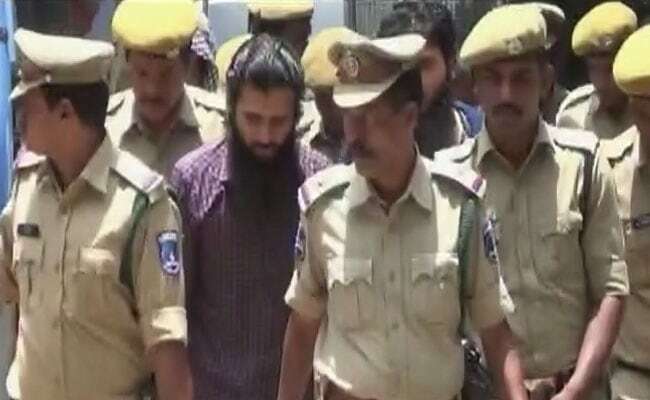 A Delhi court today ordered framing of charges against Indian Mujahideen (IM) operative Yasin Bhatkal and nine others in the 2010 Jama Masjid blast case on the ground that prime facie there was enough evidence against them. New Delhi: A Delhi court today ordered framing of charges against Indian Mujahideen (IM) operative Yasin Bhatkal and nine others in the 2010 Jama Masjid blast case on the ground that prime facie there was enough evidence against them. Additional Sessions Judge Sidharth Sharma, however, discharged three alleged members -- Ismail Affaque, Abdus Saboor and Riyaz Ahmad Sayeedi -- of the outfit, saying there was not enough evidence against them. The court said prima facie there was enough evidence against Bhatkal and other the accused persons and posted the matter to August 29 when the charges would formally be framed against them. Besides Bhatkal, those who would be put on trial were Gauhar Aziz Khomani, Gayur Ahmad Jamali, Mohd Adil, Mohd Irshad Khan, Mohd Aftab Alam, Kamal, Assadullah Akhtar, Zia- ur-Rehman and Azaz Saikh. Another accused Modh Qateel Siddiqui died during the pendency of the case. The police had earlier filed a charge sheet against eleven suspected IM members in connection with the blast case, alleging that they had carried out the strike to dissuade foreign nations from participating in the 2010 Delhi Commonwealth Games. The three, who were today discharged, were later named in a supplementary charge sheet which accused them of having conspired with other IM members to carry out the terror strike in the national capital. A bomb fitted in a car exploded near the historic Jama Masjid here on September 19, 2010 soon after two suspected IM operatives had fired at a bus from which foreign tourists were descending near a gate of the mosque. Two Taiwanese tourists had sustained bullet injuries in the firing incident for which a separate case was lodged. The police had earlier said that the IM operatives had planned that foreign tourists found near Jama Masjid would be randomly shot at and a bomb blast would be executed there for maximum casualty. It had claimed that Bhatkal had prepared a pressure cooker improvised explosive device, which was planted in the car parked outside the mosque.